Kentucky wine lovers who have been looking forward to the McConnell Spring’s annual spring barrel tasting can start counting down the days. In just 10 days, wineries in the Bluegrass will welcome visitors for a special event – the chance to taste your favorite wines while they are still in the barrels. Winemakers will be there to answer your questions and wine will be available for enjoying at the winery and for taking home. This day is somewhat unique. Each of the 18 wineries are within an hour’s drive of Lexington and wine lovers can start at any of the wineries and visit whichever ones they choose. For $20, visitors can pick up their entry bracelet, their commemorative wine glass and a map of the participating wineries. This is a major fundraiser for the preservation of McConnell Springs, so your participation will help preserve a part of Kentucky history. Not to mention enjoying a day tasting some excellent Kentucky wines. The following wineries will be ready to welcome visitors: Harkness Edwards Vineyards, Three Horses Vineyard & Winery, Black Barn Winery, Chrisman Mills Vineyards, Chuckleberry Farm & Winery, Equus Run Vineyards, First Vineyard Winery, Grimes Mill Winery, Hamon Haven Winery, Horseshoe Bend Vineyards & Winery, Jean Farris Winery & Bistro, Lovers Leap Vineyards & Winery, McIntyre’s Winery and Berries, Prodigy Vineyards & Winery, Rising Sons Winery, Springhill Winery, Talon Winery & Vineyards, and Wildside Winery & Vineyard. 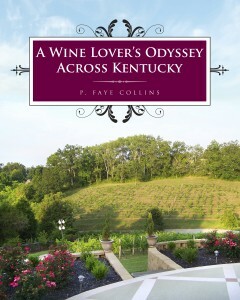 After a long winter, join other wine lovers for a fun day of spring in the Bluegrass. Driving from winery to winery through the gorgeous countryside, visiting wineries, meeting the winemakers, and trying out some really good wines – what a way to spend a day! We are looking forward to it. We’ve participated in the past and have always had a great time. Maybe we’ll see you there!